That really is what this is all about. 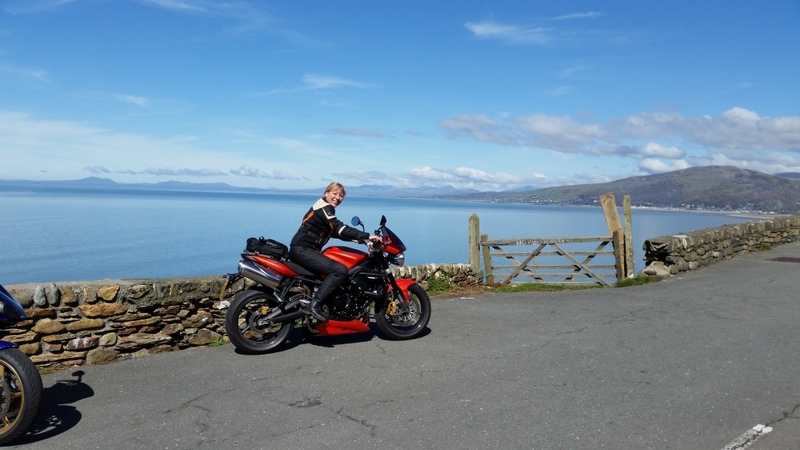 For me, this journey started with a rather self indulgent article I wrote on my experiences of riding called ' Story of a Female Biker ', which was publiished on a US biking site called Themotolady.com . Within it, I wrote about my journey of learning to ride and the struggles and challenges I've had along the way. Also other people's attitudes towards my bikes, the way I ride and me, as a female who rides in what has prevously been a male dominated environment. With the amazing level of responces I had, I suddenly realised I was not alone. Thousands of other women were experiencing or had experienced these exact same issues. "I drop my bike", "I'm not fast enough to keep up", "I can't find clothing that fits", "I'm too short to ride", "I can't find a bike which I can touch the ground on", "my wrists and back hurt every ride", "I'm nervous", "I keep getting lost", "I can't manually move my bike"...I've struggled with all of these things BUT they are actually massively common. I was so relieved that I was not the only one, I desperately wanted to do something to help others realise the fact and maybe relieve a little of these frustrations. 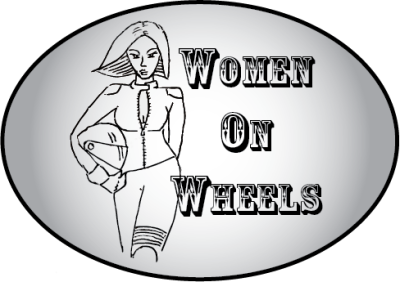 I began a Facebook group called 'Biker Chicks of Sussex' where I've gained contact with some amazing ladies (both new to riding and experienced) and so, that is what has driven me to create this magazine. Although it would of course be lovely to be sucessful in anthing that we do, for me, this is about helping. I am not a hugely experienced rider by far. I've had a number of bikes and I've probably had way over my share of bad luck at times, but if I can share anything from my experiences that might help others, I will try. I also want to share stories from amazing women who have inspired me in the world of riding, because after all, we've achieved a hell of a lot to be here. Let's celebrate that! 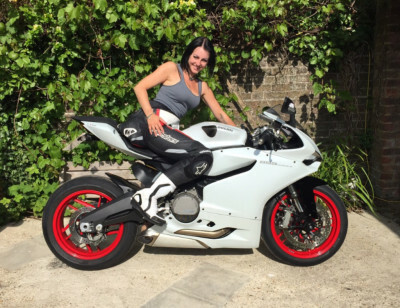 Me with my beloved Ducati Panigale 899. My biggest achievement since riding.